Love keeping people cool in summer and warm in winter? New Hampshire can reach pretty extreme temperatures in both seasons, making HVAC workers into minor heroes when a system breaks down. To work in this growing trade in the Granite State, you might be pleased to know there are no state-level licensing requirements. There is a required certification for Fuel Gas Fitters if you deal with that area. This includes both natural gas and liquid propane. 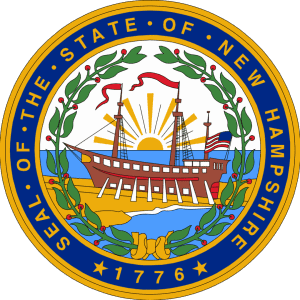 This specialty license covers any kind of piping, appliance installation and ventilation related to these.If you deal with these areas, you can find more information on the New Hampshire Employment Security website. There are some certifications you can get for certain related industries, but they’re not mandatory. For instance, you may be interested in the Heating Equipment Technician Certification, which recognizes competency in both residential and non-residential service of heating equipment, water heating equipment and appliances that use heating oil. If you’re getting NORA or NATE certification, you might as well get this, as well; it has the same requirements. Employment Security has the application. It’s always important to check with county and state offices to see if there are local licensing requirements. We looked at some of the largest cities and didn’t find any such licenses, but it’s best to verify and to see if there have been any changes. Of course, it’s also necessary to check for any project permits you’ll need before performing major work. If you work with refrigerants, you probably already know about the Environmental Protection Agency requirements. Under Section 608, anyone who works in this area, anywhere in the USA, must be certified. Our article on EPA certification will show you the types of certification available based on the equipment you work on. EPA Section 609 covers air conditioning systems in motor vehicles, so if that’s the only place you deal with refrigerants, it’s probably the best option for you. HVAC Techs in New Hampshire can start out making an awesome $16.63 an hour, with an experienced tech earning about $24.30. Not a bad way to get going! There are lots of opportunities to learn the trade through schools and apprenticeships, so develop your skill set. If you work in the limited specialties where certification is needed or offered, it’s a good idea to check those out and take the path to success!